TORONTO, Dec. 17, 2018 Capstone Infrastructure Corporation (TSX: CSE.PR.A) (the “Corporation” or “Capstone”) and its partner Sawridge First Nation (“Sawridge”) are pleased to announce that their 48 megawatt Buffalo Atlee Wind Farm project located near Jenner, Alberta was selected by the Alberta Electricity System Operator (AESO) in a competitive bidding process for the second round of the Renewable Electricity Program (REP Round 2). REP Round 2 was designed to encourage greater participation by Indigenous communities in Alberta’s broader electricity sector and the development of renewable electricity. Capstone and Sawridge were awarded and executed three Renewable Electricity Support Agreements (RESAs) for their Buffalo Atlee 1, 2 and 3 projects. The partnership between Capstone and Sawridge First Nation demonstrates a shared commitment to deliver affordable, clean, renewable wind power to Albertans. 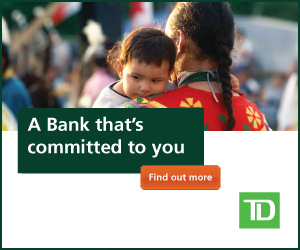 “We are extremely pleased to be investing in Alberta with our partner, the Sawridge First Nation. The development, construction, and operations of the Buffalo Atlee Wind Farm will provide significant environmental benefits, create jobs, drive local economic activity, and deliver excellent value to Alberta ratepayers. We look forward to completing this exciting project in Alberta, which has become a destination of choice for renewable energy investment,” David Eva, Chief Executive Officer, Capstone Infrastructure. “We share the pleasure of the announcement with our partners Capstone. This project is a great step for Sawridge First Nation as it helps us move forward in our continued endeavors towards self reliance, while balancing the need for energy and protecting Mother Earth for our future generations,” commented Chief Roland Twinn, Sawridge. Capstone’s mission is to provide investors with an attractive total return from responsibly managed long-term investments in power generation in North America. Capstone’s strategy is to develop, acquire and manage a portfolio of high quality power assets. Capstone owns and operates, approximately net 533 MW of installed capacity across 22 facilities in Canada, including wind, hydro, solar, biomass, and natural gas power plants. Please visit www.capstoneinfrastructure.com for more information. Certain of the statements contained within this document are forward-looking and reflect management’s expectations regarding the future growth, results of operations, performance and business of the Corporation based on information currently available to the Corporation. Forward-looking statements are provided for the purpose of presenting information about management’s current expectations and plans relating to the future and readers are cautioned that such statements may not be appropriate for other purposes. These statements use forward-looking words, such as “anticipate”, “continue”, “could”, “expect”, “may”, “will”, “intend”, “estimate”, “plan”, “believe” or other similar words. Although the Corporation believes that it has a reasonable basis for the expectations reflected in these forward-looking statements, actual results may differ from those suggested by the forward-looking statements due to inherent risks and uncertainties. For a comprehensive description of these risk factors, please refer to the “Risk Factors” section of the Corporation’s Annual Information Form dated March 21, 2018, as supplemented by disclosure of risk factors contained in any subsequent annual information form, material change reports (except confidential material change reports), business acquisition reports, interim financial statements, interim management’s discussion and analysis and information circulars filed by the Corporation with the securities commissions or similar authorities in Canada (which are available under the Corporation’s SEDAR profile at www.sedar.com).